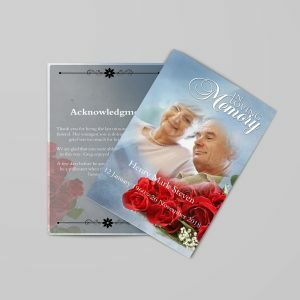 Funeral programs can help make your funeral or memorial service very personalized and special. 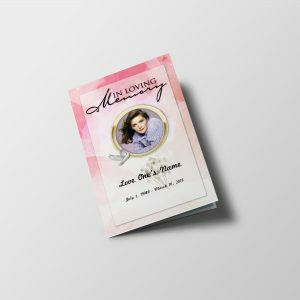 A funeral program, also called memorial service bulletin, or an order of service booklet, is a printed document that tells the events of the funeral or memorial service, and celebrates the important milestones in the life of the deceased. 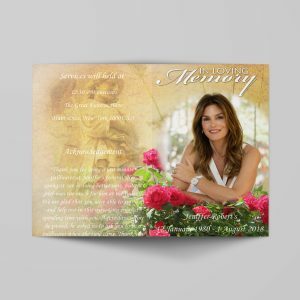 Funeral programs can have a variety of designs, styles and layouts. These programs often serve as a treasured keepsake for friends and loved ones. 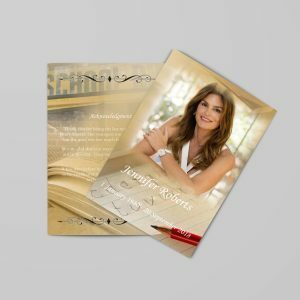 The style, design and layout of the program usually reflects you loved one’s personality. Consider choosing a favorite color, flower or theme that your loved one may have preferred. Also, a hobby, such as hiking, golf or sailing, or a favorite memory of beach or mountain scenery may be used. Religious themes are very commonly used as cover designs, with designs ranging from crosses, bible an other religious symbols. 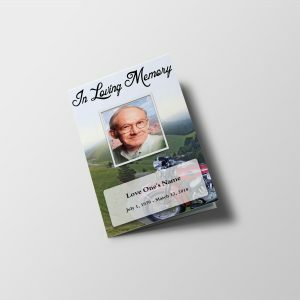 The funeral program may include a variety of information including a title, such as “In Loving Memory” or “a Celebration of Life”, the name, birthday and death date of the deceased, and an optional photo on the cover. The photo can be a recent photo, or can be a photo from the past, such as an old military, graduation or wedding photo. The “Order of Service” is included in the program, which is a listing of the events of the funeral or memorial service. The events of the service may include scripture readings, prayers, musical and funeral song selections, tributes and sermons. The order of service may also list the names of the people performing the events. The obituary is often published in the program. The obituary is a biography of the deceased, which lists major accomplishments of the life of the deceased. 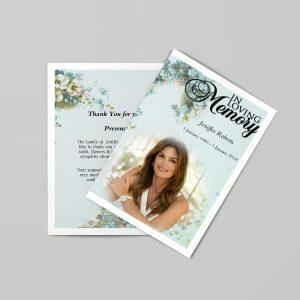 The obituary can be short and concise, or can be long and detailed, depending on the family’s preference. 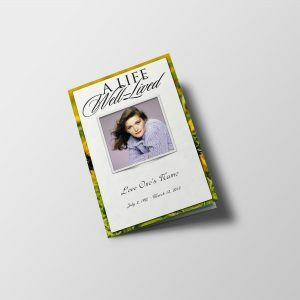 Other information in the program can include funeral poems and quotes, written tributes, song lyrics and bible scriptures. Additional photos and photo collages can be included to give the program even more personalization. 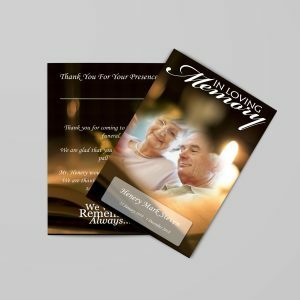 The back cover of the funeral program usually contains information about the pall bearers and flower bearers, if used, and may have special thank you notes and acknowledgments. You may also choose to include information about donations, or receptions or repast information. 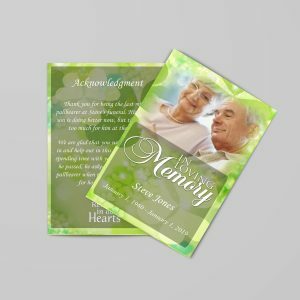 When creating a funeral program, remember that it is a keepsake that represents the life of your loved one. Creating a your program can be much easier if you use a professionally-formatted template. 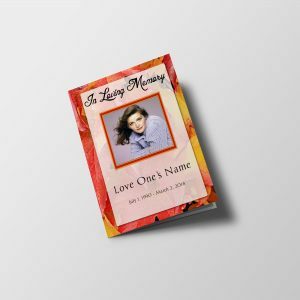 There are many resources available in books and on the Internet to help you create the funeral program that will help you cherish your loved one’s memory.